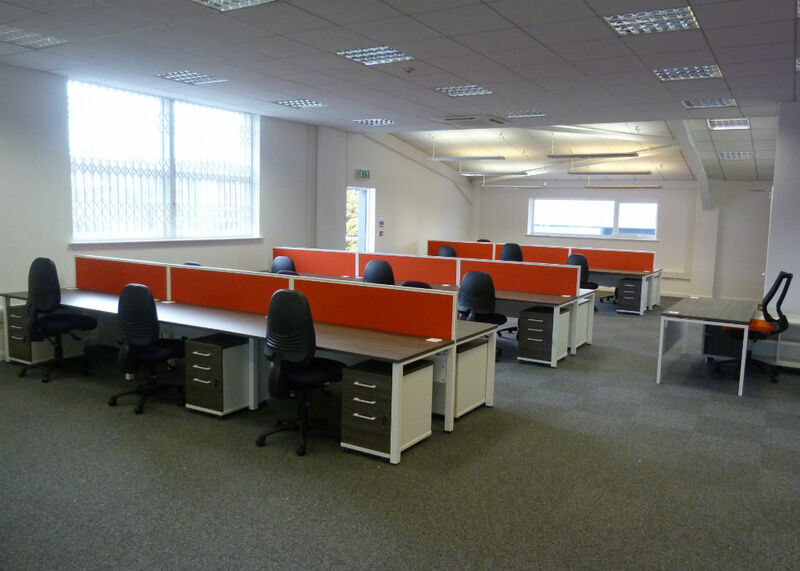 Black Diamond Umbrella ltd were recommended to us and the remit was to make the most of the office space without it seeming too crowded and to bring in their company colours. 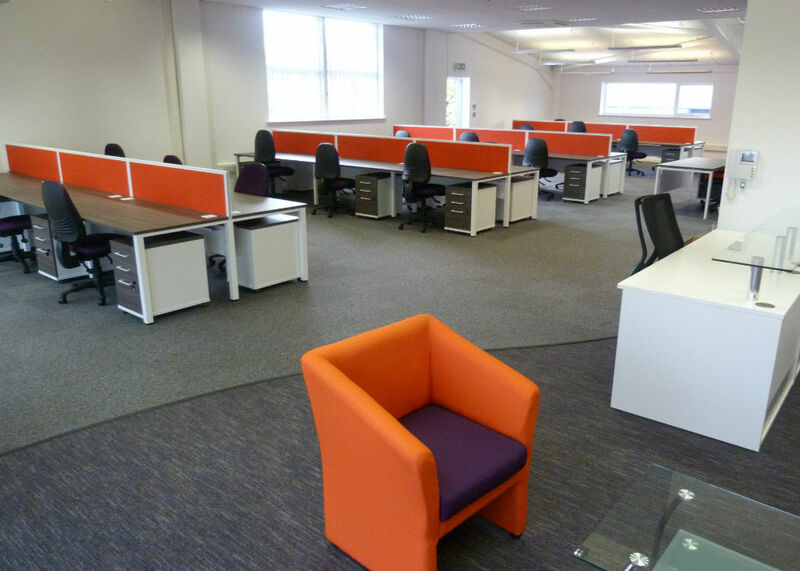 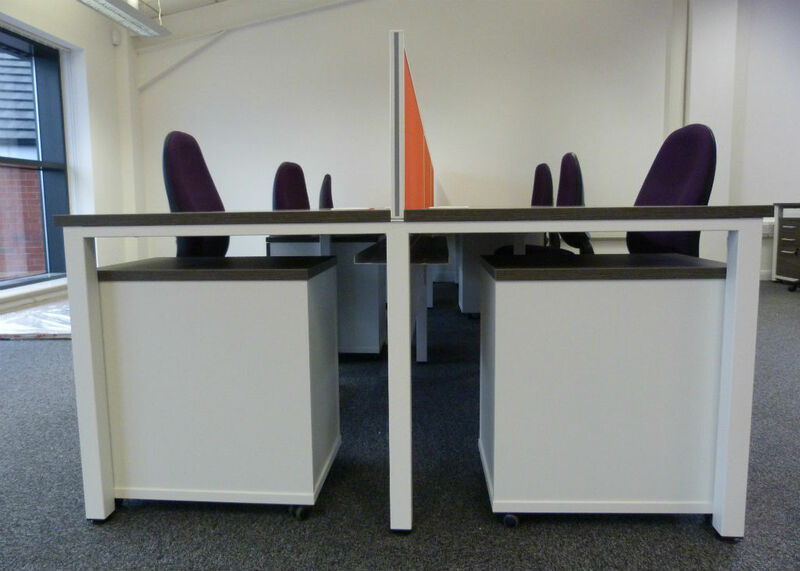 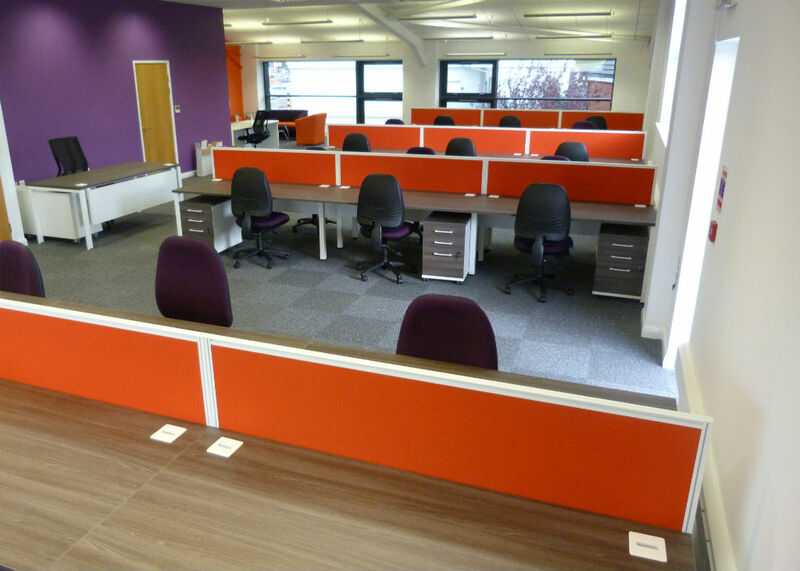 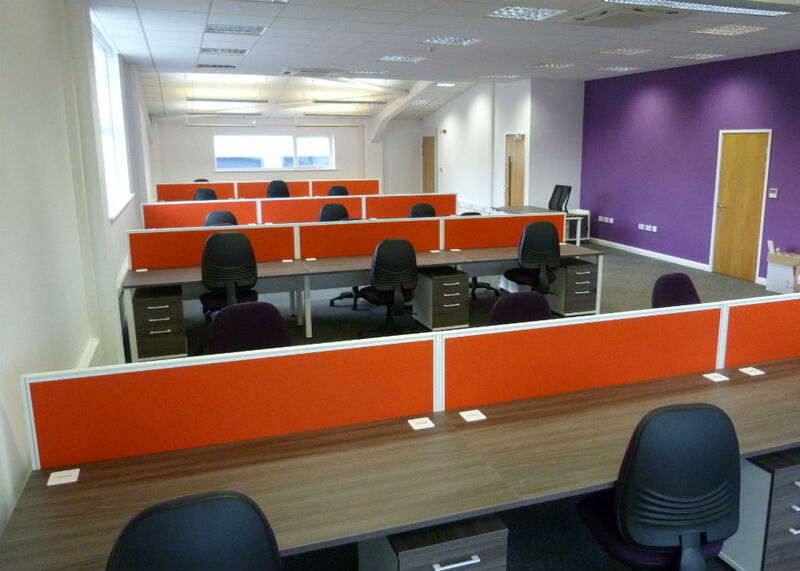 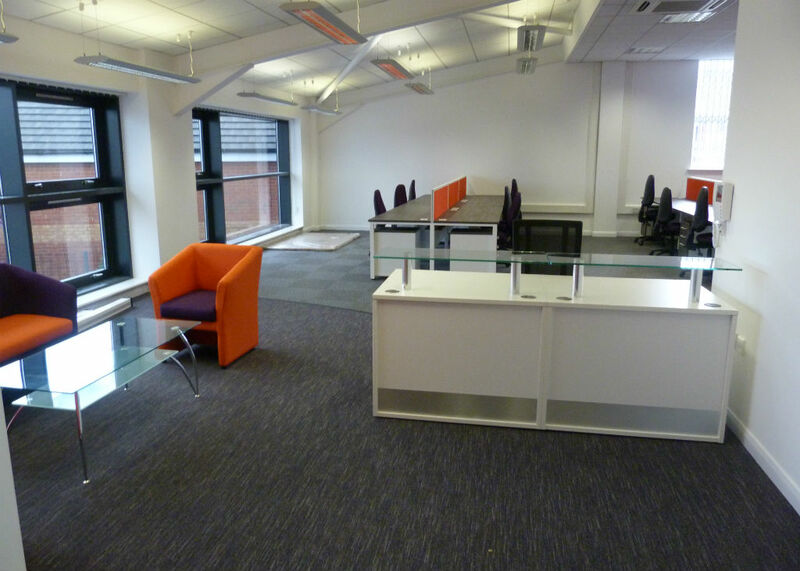 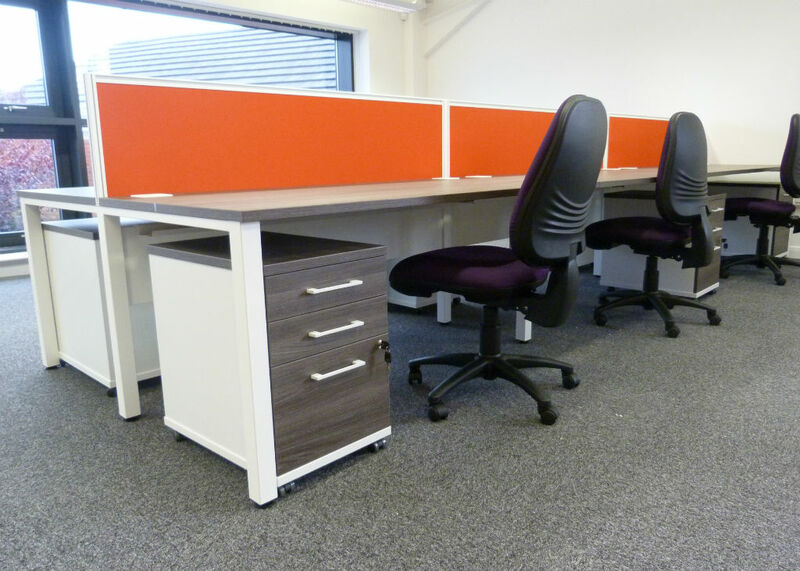 We used pure bench desks in anthracite with white frames and desk top screens in orange fabric, operators chairs were covered in purple fabric to compliment the feature wall. 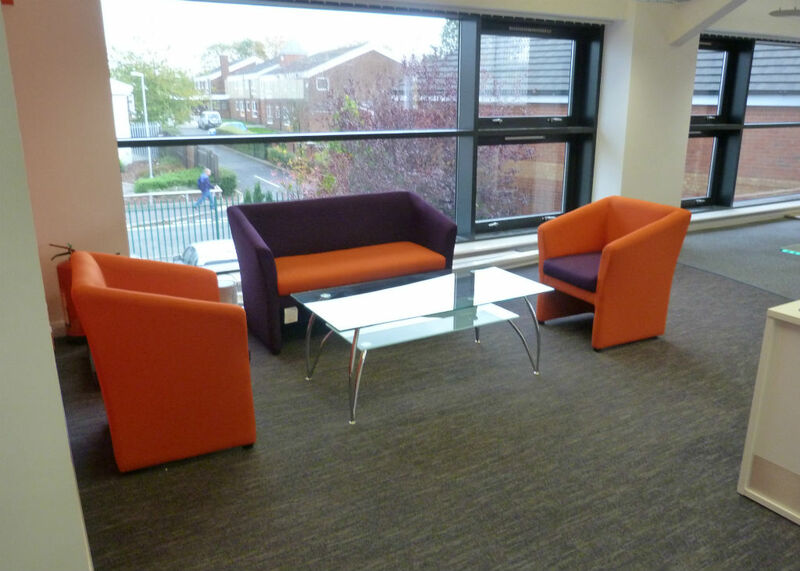 The reception area was just a simple white receptive counter with glass shelf and seating in orange and purple. 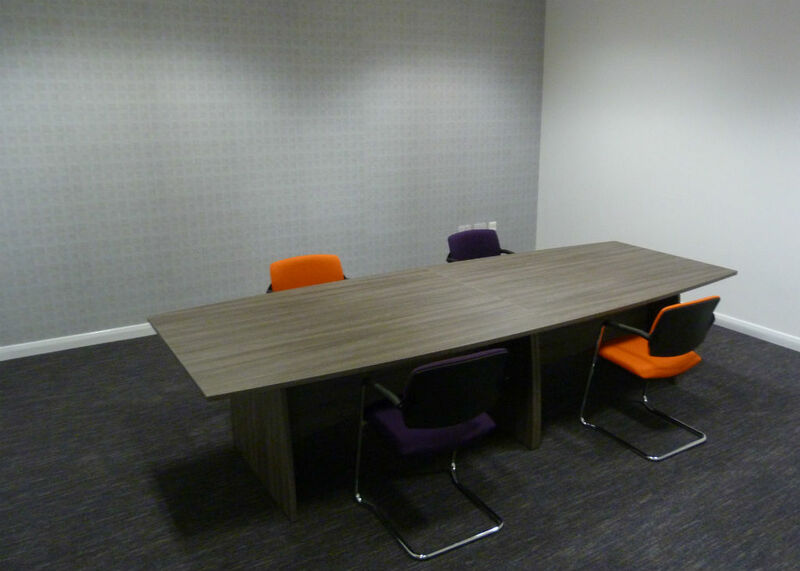 An odyssey table was used in the meeting room in anthracite and cantilever framed meeting chairs again in Black Diamonds company colours completed the look.